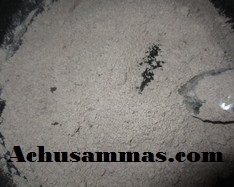 · Take a pan fry the sliced coconut with ghee till brown in color. Keep it aside. 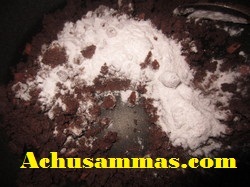 · In the same pan roast ragi flour, with 1-3 tbsp. of ghee for 15-20 minutes on medium heat. Add more ghee if needed. · Add the roasted coconut pieces. · Allow it to medium cool. Add the powdered sugar and cardamom powder. · Make a ladoo using your palm. healthy and different laddoos.loved the colour.. Didn't think laddoos will be so simple! 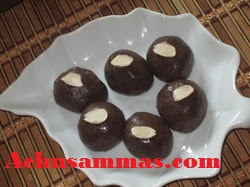 Very healthy and delicous ladoo. So attractive and nutritious laddoos. Healthy and yum treat,kids will love this. 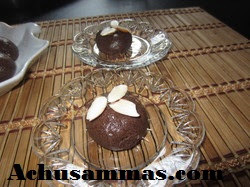 Chocolate laddu pole undu,healthy one..yummy!! You are giving one after the other tempting laddoo recipes.. Healthy ladoos... 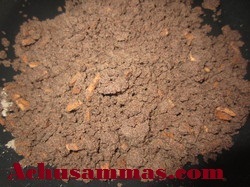 I like raggi n jaggery flavours together! They are new to me. Look delicious! 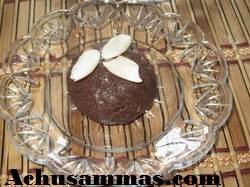 Acchu's mom, great ragi laddoos and these are super nutritious too!